When I started my photographic journey, I was drawn to waterfalls. 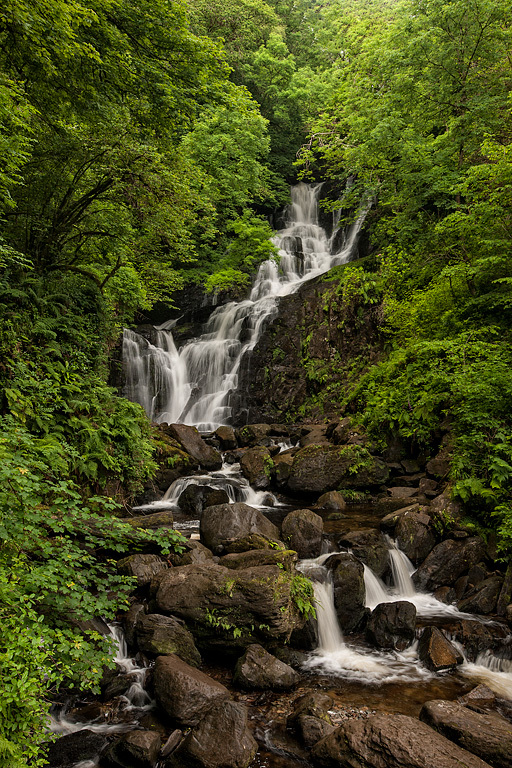 Over the years I’ve grown tired of them… That said, this waterfall, Torc, in Ireland was nestled into a great lush green setting and it had just rained making it perfect for photographing. I could not resist! Lush green indeed. Imagine creating a waterfallscape like this in your backyard. Do not know how you can become tired of waterfalls. There are no two alike and they are ever changing. As far as images-within-images, I see additional possibilities within this image as well. Waterfalls always look so much more interesting surrounded by bright green foliage and this one is no exception.